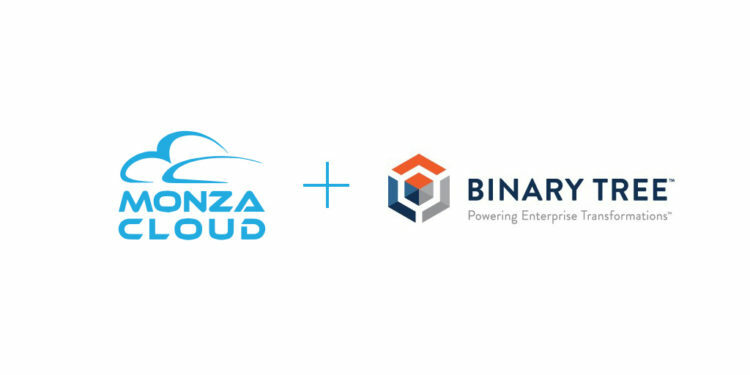 ATLANTA, GA and KENDALL PARK, N.J. – July 16, 2018 – Binary Tree and Monza Cloud today announced a partnership to help clients develop new applications more quickly in Microsoft Azure. Specifically, Monza Cloud’s AzStudio platform will drive Binary Tree’s new Innovation Center. As a company born in the cloud, Monza Cloud delivers cloud-centric application development solutions that address the unique needs of application and DevOps teams developing in the cloud. Monza Cloud’s AzStudio enables enterprises to standardize on cloud best practices and accelerates speed to market while improving total cost of ownership for your cloud-native applications. Headquartered in Atlanta, Monza Cloud builds development tools that support mid-market to enterprise companies in all industries. For more information visit: www.azstudio.io.